Ok, so these cookies are way too fun. 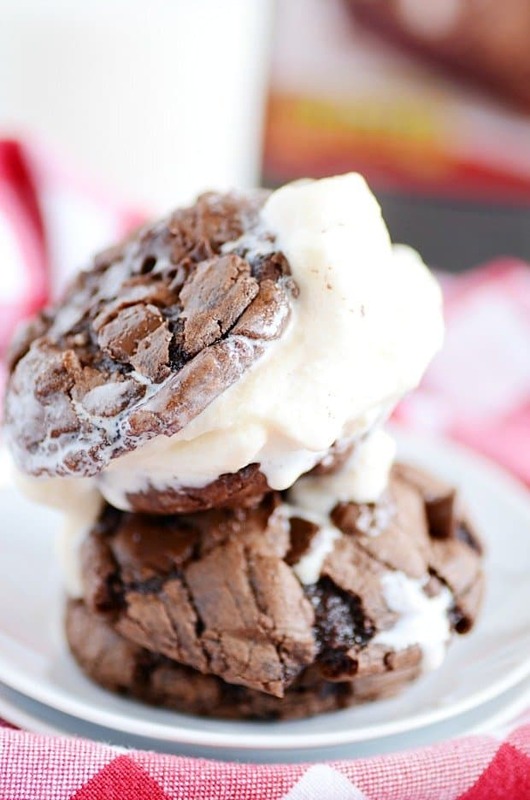 A boxed brownie mix + a few simple ingredients = the most killer brownie cookies of all time. 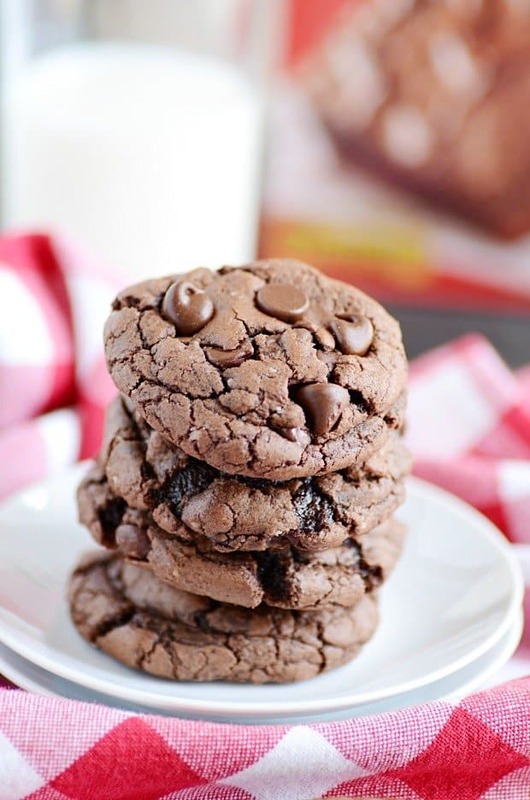 I’ve actually posted brownie cookies before (from scratch), and those cookies are good too. I liked them. 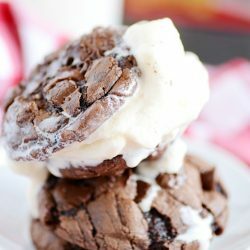 But I’ve been wanting to make some brownie cookies that are more along the lines of that signature flavor and fudginess of box mix brownies. And while I’ll always love a great homemade brownie, sometimes you just can’t beat the box mix, you know? I couldn’t believe how perfect these turned out on the first try– gooey insides, crackly tops, deep chocolate-y flavor. All I did was slightly modify my favorite Cake Mix Cookie recipe, and they turned out so, so amazing. And, as you can imagine, there is a ton of potential for yummy variations for this recipe! I’ve already got two more versions than I’m planning to share with you in the next few months, but seriously– the possibilities are endless! Toss in your favorite candies, add peanut butter, roll them in powdered sugar…. 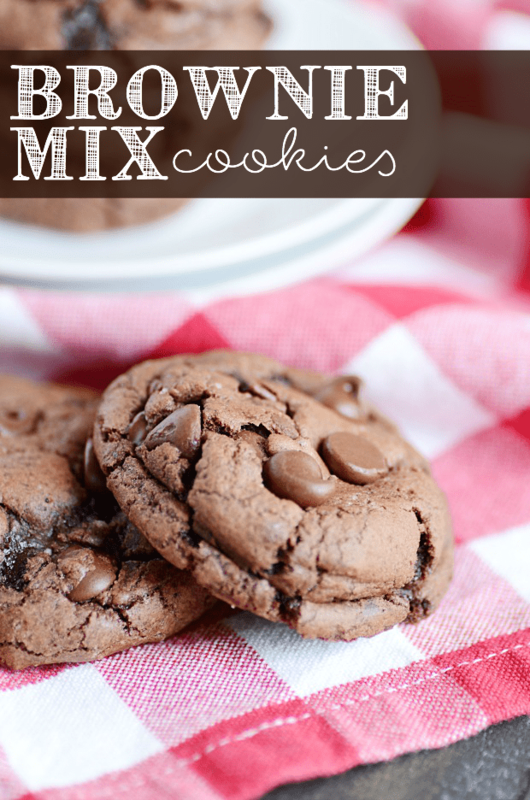 Gooey chocolate insides and crackly tops make these brownie mix cookies the ultimate marriage of brownies and cookies. Try mixing in your favorite candies or eating a scoop of ice cream sandwiched in between two fresh-from-the-oven cookies. You'll be in heaven! Scoop two tablespoons of dough at a time into mounds on an ungreased cookie sheet (see below for a step-by-step photo tutorial on my scooping method), keep dough about 2 inches apart. These look so impossibly fudgy and moist! I’ll take a dozen please! 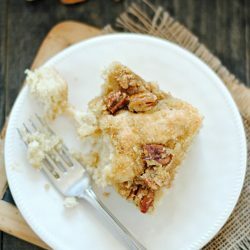 yummmm- definitely making these. 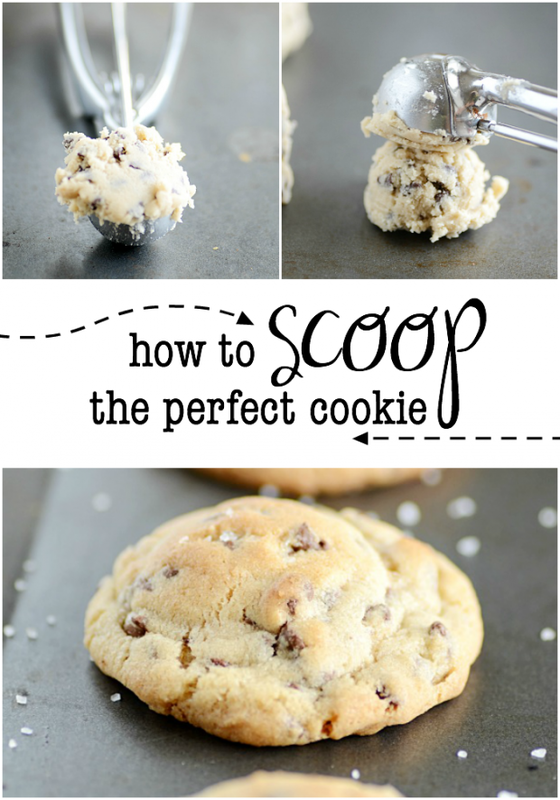 I was interested in the scooping method but couldn’t find the link. I know, I’m hopeless but can you help me!! So I’m on Day 3 of my 21 Day Fix plan, and all I can say is that these cookies are calling my name!!! Pinned for Day 22!! These look so good and that ice cream sandwich is to die for!! I need some now!